Spindle Moulder machine can be used for varied applications like making finger joints, facing, planning or grooving of wood and even can make round shaped or contoured moulding or routering on the same machine with the help and change of toolings. 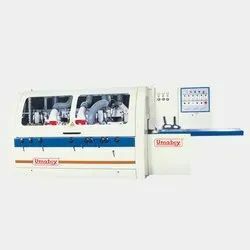 Work table size: 835 x 760 / 33" x 30"
Spindle diameter: 31.75 / 1 1⁄4"
UP/Down movement of spindle: 100 / 4"
With our rich industry experience, we are able to offer our esteemed clients a wide assortment of optimum quality Spindle Moulder Machine. These Moulder are manufactured in compliance with latest technologies using high-grade raw material. Our range is appreciated for its durability, tensile strength and dimensional accuracy. 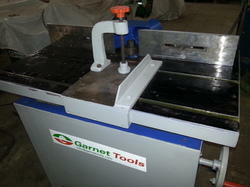 Riding on vast volumes of expertise in this arena, we are occupied in offering Woodworking Spindle Moulder. In conformity with the standards as set by the market, these are verified before getting dispatched. More to this, their obtainability with us at market leading rates makes these highly applauded.